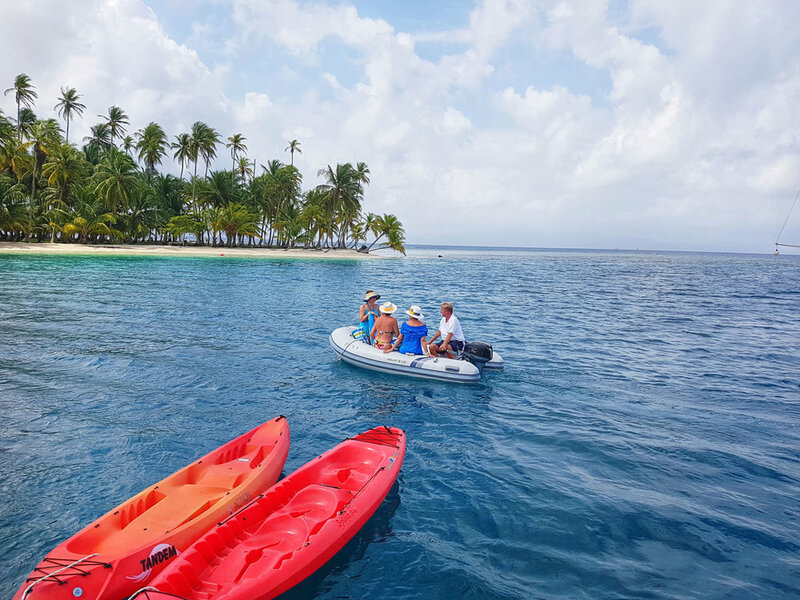 Besides staying on our luxurious catamaran that has high standards of cleanliness, exquisite food, different kinds of equipment for waterplay, and a possibility to visit the islands, we also offer a lot of conveniences on board to give you paradise. On board of the Zenith II are a lot of conveniences. There is a laptop with a video editing programe and an ink-jet color printer with the possibility to scan, copy and print. You can listen to your own music via Bluetooth, USB or CD, or you can listen to the variety of CDs available on board. Do you prefer to make your own music? We have a guitar available. Do you like to watch a movie or present a presentation on a screen? We have a screen available, including several movies. Of course you can also watch your own movie. If you want to relax we have a trampoline in the front, a sundeck in the back, and a monster hammock for two, including relaxing roles and cushions.